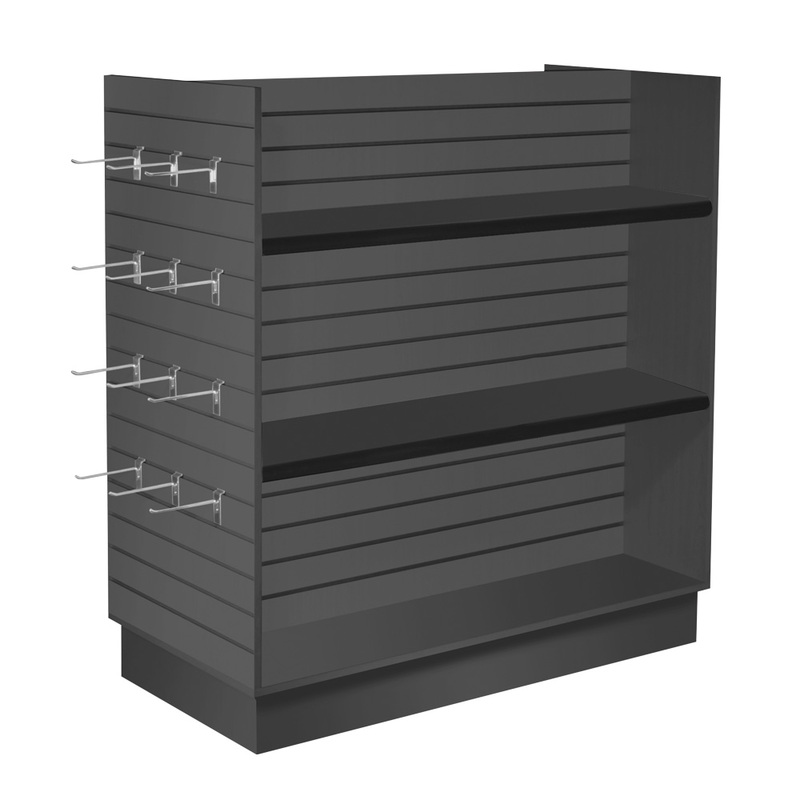 Efficiently display and organize your product with a slatwall gondola display! Made from durable laminated melamine, our displays are durable and provide a streamlined look for your store. Thick edge banding on slatwall grooved edges ensures your slatwall units will continue to look great for years. Shelving and accessories are sold separately - see the Slatwall Accessories section of our website for a selection of display options. For shelving options, select 10"D x 48"W shelves that fits your store style.